Galveston Brain Changers is now offering At-Home Neurofeedback Sessions for clients! This innovative, completely safe and therapist-controlled option makes neurofeedback much more convenient, and cost-effective for clients! 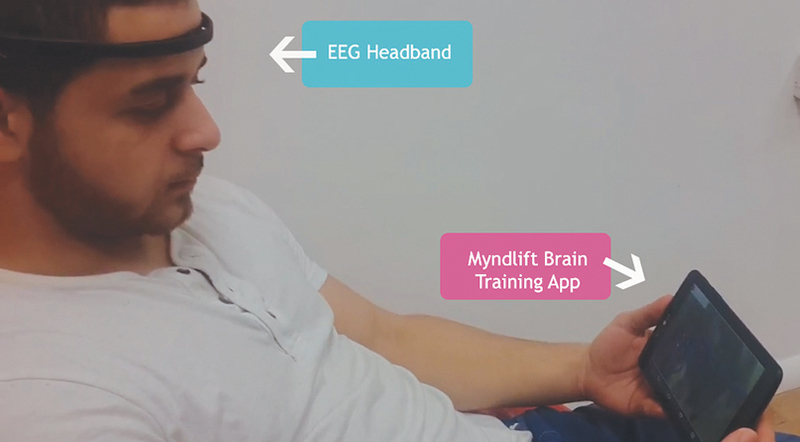 MyndLift has developed a system that is fully controlled by the neurofeedback provider via Brain Changers‘ virtual clinic. Most client protocols, including those for ad/hd, anxiety, and depression, are eligible for at-home sessions. There are a few protocols that require clients to come to the office for the duration of a specific protocol. All clients are required to come to the office for their first two appointments: 1. Initial Evaluation and qEEG, and 2. Review results and go through training for the at-home system. At that point, clients are sent home with equipment that they lease on a monthly basis. Clients have the option of purchasing their sessions in increments of 2 sessions, 5 sessions, and 10 sessions at a time. Additionally, multiple members of one household can train on the same equipment, after evaluation and testing to determine necessary protocols for each person. Counseling sessions are set up and paid for separately and can be accomplished via Skype or Google Hangouts. Client and counselor work together to establish the best schedule and frequency for 30 minute counseling sessions throughout treatment. Total number of sessions needed for lasting changes is the same as in-office appointments for neurofeedback. The average number of sessions required for ongoing improvement falls in the 40-60 session range. Call today for more information or to get scheduled for At-Home Neurofeedback Sessions! Did Adam Lanza Kill 26 People Because He Had Aspergerâ€™s Syndrome?